Hence call as many as you can while your about to file,and sue pro-se cps.Time,as case law support publicly is limited,when your trying to hold cps worker accountable,as your family." 1. )Terminated from Cali,to NY and all states in between. Click for disclaimer,and to read more. When your suing California CPS is to be able to properly enumerate,per cause of action,to be able to clearly understand,what "your presenting"for money damages;to be able to effectively argue,your point(s)per issue,inequity,for which has brought you to the U.S.District (Federal)Court,to sue timely cps,and to understand,such law(s)involving your rights,and child.When such termination of a parental right is visible,that means your no longer having a child as far as cali caseworker,social workers are concerned,the rights are thereby;terminated sadly,and up to you to take SWIFT action. A Lawyer shall NOT sue for you,in california,quite rare actually.But,it does not mean by time you are "timely filing by deadline,your pro per civil rights injury suit,that one by then will not care enough to come on board. Ext.102 Or remain,become more pro active relating to DCFS worker violations,and remain as many are known as pro-se, pro per, self file . JUST,DO NOT GIVE IN and DO NOT GIVE UP, as this is exactly what CALIFORNIA DCFS workers want you to do. When your"realizing such truthfulness'file your suit meanwhile,pro per, self file,and begin to get on the RIGHT ROAD,to where your needing to be,before time run out to hold DCFS worker,accountable. Ask for ext. 102/260,"after"filling out help form found below,or on front page of our informative empowering website,thank you. No information here shall be construed as legal advice,since student research powerful online ctr.are not a lawyer. Hence always call a lawyer prior to suing,if you are (suing pro-se DCFS,california)Good luck to you,as owner has sued pro-se self file,as known by media,and won such right to move forward,with her family lawsuit,this year...Inspiration for many ext.102/260. Caseworkers,social workers throughout california,involving DPSS,DCFS,CPS are allocated to the agency caseworkers,to be "reviewed"and properly handled,"supervising such file(s)on the children,to ensure their everyday safety out of the parent home; yet such complaints coming into our hotline regularly are children have been misplaced,and or gone missing,foster care abuse,not being taken care of,even when the worker at DCFS clearly is reporting to the dependency juvenile family courts,"child is fine?" 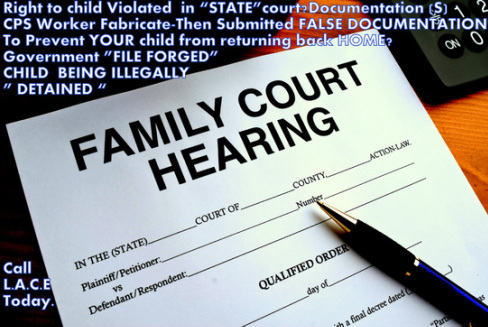 Remove during a family outing/visit by court order to the father residence,or family member home,never returned. Hospitalize child was removed unconstitutionally by California Caseworker/Social Worker over at CPS?Sue Today.Your lawsuit however against california dcfs worker,has to be TIMELY-Filed,notice of tort claim included prior to the actual institution of your lawsuit for damage(s)pro-per.ext.102. Ask for heather-marie. Your time to sue is quite limited,whether in SAN DIEGO, Sacramento,San Bernardino,to Riverside,to Merced,to Palm Springs violation by CPS Los Angeles,and all cities,counties throughout Cali. DEADLINE SHALL ARISE BEFORE YOUR EVEN KNOWING IT. Fill out help form below or click on HELP link at the top of each page of our powerful informative site. Thank you.No free consult with proper submission. SUE CPS IN FEDERAL COURT BY DEADLINE FACEBOOK. . . When your suing your taking back YOUR right.As simple as that.Such attorney(s)not suing for you,should not preclude yourself from seeking civil right money damages in the U.S.District Federal Court,when such state family dependency court has allowed CPS in California to continue to horribly mistreat per child,and violate your rights. See other California residents wisely suing and taking back their right when doing so timely known as Pro-Per." "See how many on our popular SUE CPS BY DEADLINE Pro-se,self file facebook page,,have been violated,but are no longer STANDING BY and allowing california DCFS,violate such child,their own civil rights.We commend you all." Having such rights terminated to their own birth parents,by false information against the loving parent submitted to the judge,to have rights terminated. In foster care(sexually abused)and while residing under "state supervision of DCFS." Strip search;fourth amendment violation,involving California Child Protection Services,fourteenth amendment. LOST IN THE SAME SYSTEM(ran away to avoid more abuse) but yet CPS realize all is taking place but yet fail to advise the parent,and or to make as law require,"reasonable effort"to return one's child and or remove child from such horrid placement. Such lawsuit(s)as case law support in state,all federal courts our nation,support wholly your right to sue timely,but again it has to be structured,professionally,timely and properly. Call today and begin finally to take back your right,before your time to sue for damage(s)reach deadline,barring you forever,from suing. Social Worker,"internal california report,filed by an all too willing DCFS worker,cites how you are an "UNFIT"Father/Mother and or grandparent. Yet,the child meanwhile is languishing in a dangerous foster care stranger home. As a result he was assaulted,abused,raped,and or she was sexually abused,and or emotionally/verbally abused,bullied harmed while away from your family primary residential care. Under oath,worker (under what is known everyone,the"penalty"of perjury,sworn-in affidavit to what was observed,witness by the california social worker at the time,day in "question"and how the child "must"be immediately removed,premise on such "findings." Yet another report discovered adage the complete opposite,that would have otherwise prove you were innocent. Caseworker failed to reunite you even though you have already complied,to such"case plan." As a result,your child sadly was terminated forever from your life. 21st century-and times are now finally changing,when it come to LEARNING on our own,just like our amazing founder has,on how to sue "correctly/timely/effectively pro-se. self file. pro per. You cannot allow a social worker to slander your name,harrass your loved ones,lie under oath while your child clearly would have been fine and or better off with you since the inception. "-HELP-FORM-is to be filled out or call shall not be connected." 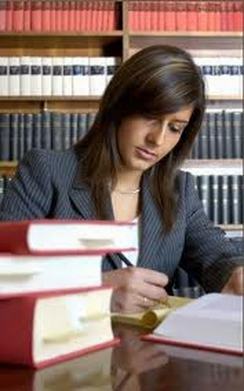 The relevant-key points for general information purposes;(online_ research et;al.,such research case law et;al support you are to seek lawyer(s)as soon as your injured everyone.Even when,as taught here for years at the nation first center,of its kind, even when you are"suing pro per" you are at least,"making your DEADLINE, to hold DCFS social worker,supervisory managerial; accountable,and did NOT miss the deadline to file,your DCFS lawsuit while you can easily STILL spend time"afterward"to search hard, day in,day out for lawyer.#GETYOURSUITFILED and do not procrastinate,if you are "really injured"these are the initial steps all warranted,when you are ready to finally sue cps,learn today,and begin at the same time of your first call-in,through educational,and empowerment througbout. HELP FORM,click here or simply"keep reading below and fill out directly below,on this informative page,thank you." Being able to properly sustain such hard-complex suit against DCFS, is a multi-task effort,around the clock,just like corrective- research. Not an easy job for most in california, who are suing and or attemtping to sue pro-se self file.We commend your effort. 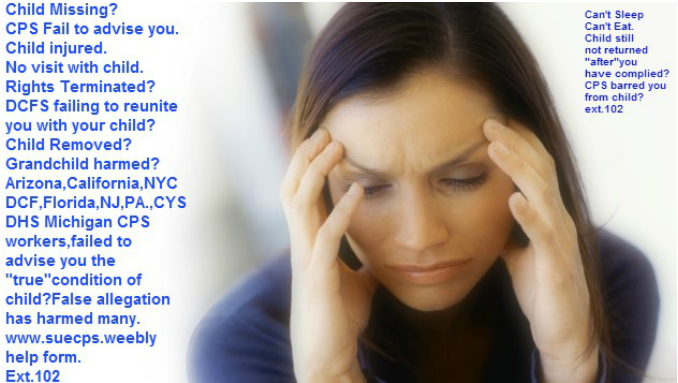 are continually speaking on the staid risk that has darken so many of our children in New York City,NJ,Michigan California,North Carolina,W.VA.,to SC.,VA.,KY,to Texas,Wisconsin,Maryland,to Florida,Georgia,Washington to Pennsylvania,nationwide,and commend weekly those who are calling-in and suing already pro per CPS known as pro-se. We are so very proud to have received the following recognition, from lawyers worldwide,who even refer those to us without a lawyer to sue child protection services,and we thank all lawyers for their ongoing daily support when your suing CPS, known as Pro-se. Our Owner S.Melendez,Bella ext. 102 or ext. 260 won such right to move forward,in the U.S.DISTRICT FEDERAL COURT after calling east/west coast lawyer who did not care enough to file for the family such warranted,highly-meritorious warranted civil rights lawsuit,per injury. She filed her own self,won such right with her $50MILLION dollar suit to move forward,as her girls. Inspiration to all who have lost a child/who was clearly violated,by DCFS,DYFS,DCP&P,Child Protection Services." But yet elect to withhold the truth,rather than to simply disclose so you could have had by now your child return." She continue to coast-to-coast prepare for 1 day her law degree in NYS/NJ tri-state,to California. A true champion against CPS nationwide.